Cypriot Meze are traditional starters, served on small plates before the main dish. 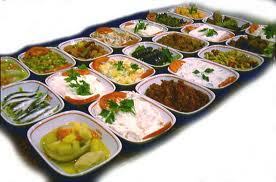 There are many different types of Meze and their function is to whet the appetite. Cypriots usually drink local beverages with their Meze. In former times Turkish Cypriots preferred wine or Cypriot brandy to accompany the starters, whereas Greek Cypriots only drank wine. Meze include hot and cold starters, soups, pastries, fritters, rice dishes, salads, meatballs, poultry and game, fish, lamb and beef, vegetables, jams and marmalades, puff pastries, citrus products, but also beverages. Traditionally, Turkish Cypriot Meze were accompanied by a diversity of local beverages, such as Kapsula, Anglia, 31 Peristiani and similar drinks. Nowadays, however, all kind of local and imported drinks may be consumed with Meze. In olden times every kind of drink was served in the same type of glass called a “Bodiri”, similar to a typical shot glass. Another important tradition is the Kolokas, also known as Taro in many parts of the world. It tastes similar to potato and in bygone times it was part of King Richard the Lionheart´s menu. Another Cypriot speciality is “village bread”, baked in traditional clay ovens. These ovens are also used to bake cörek (round, ring-shaped bread rolls), pilavuna (traditional savoury buns), bulla (olive or hellim bread), potato kebab and other delicious kebabs. 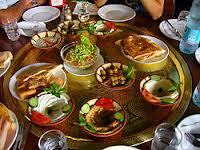 Cypriot cuisine has certain traits of Greek, Turkish, Libyan, Syrian, French, Italian and Armenian cuisine. It has been improved and evolved over the time according to the preferences of locals and the type of food and crops grown naturally on the island. The most popular Cypriot dishes are: hellim cheese (halloumi), pekmes (grape syrup), bulgur, tarhana (yogurt soup), raisins, white bread, pastry, olives, olive oil and samarella (lamb jerky). and then let it mature in bamboo baskets. These baskets were attached to wooden beams so the meat could dry out and mature without being eaten by animals. Bread was kept in a similar way, in containers called “dabaca”. Similarly, Greek Cypriots dried pork meat. 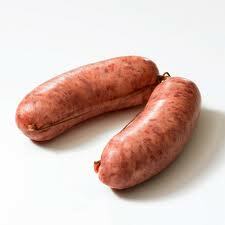 This was stored adequately to ensure its long life and prepared as pork sausages called “Luganiga”. 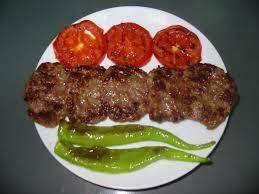 Turkish Cypriots make similar sausages from beef meat. In former times almost every Cypriot made his own wine and stored the amount needed for his family in his storage room or cellar. Danger – Big dogs are no toys!